We had an exceptionally good time at the Northern Shenandoah Valley Quilters Show this past weekend. The quilts were gorgeous, the guild members were friendly, hilarious, and welcoming, and the other vendors were top-tier and top-notch! We’ll definitely be back in 2021, if they’ll have us. Our customers loved shopping in the Bucklebee Toolbox! Notions bundles were the most popular item on the shelf, and lots of Bucklebee handbags went to new homes. The best part of the show for me, as always, is seeing old friends, making new friends, and meeting online friends in person! 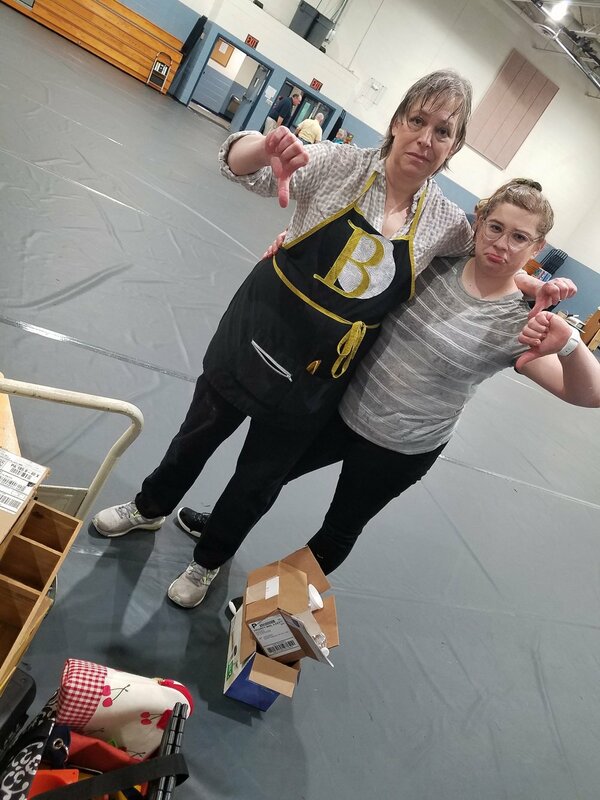 I’ve noticed over the years that the weather is decidedly uncooperative on either load-in or load-out day, no matter where a quilt show is or what time of year it is. Bucklebee seems to carry its own little rain cloud for set up or breakdown. Yesterday was no exception. Just as we began to wheel out our first cart full of merchandise to pack up, the skies opened and you can see the result. Here’s to sunny days ahead—our next show is with the Ocean Waves Quilters in two weeks, in Georgetown, DE, very close to Rehoboth Beach. Check our Events page for this year’s show schedule. We’d love to meet you in person! Pssssssst….there’s a free pattern available on our Exclusives page! Register and grab one right now! A Crazy Month Ahead, and a Gift for Subscribers!